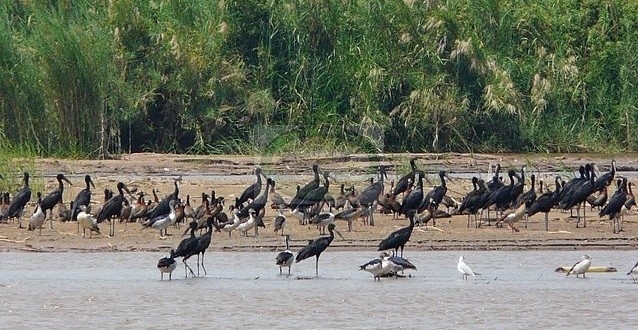 from Bujumbura drive to the North-East of Burundi, is a region of extensive depressions dotted with many lakes and abounding in bird life.It is an area of great scenic beauty where the visitor may discover, by canoe, such lakes as Cohoha, the bird Lake,renowed for its ornithological reserve ; and other lakes like Kacamirinda and Kanzigiri. On the road leading to Birds Lakes, we will stop not far from Bugarama to see splendid tea plantations at Teza before to arrive at Kirundo. Lunch at Kirundo Center City and drive back to Bujumbura for overnight at Club du lac Tanganyika Hotel . Day 2:Morning tour of Bujumbura, we visit the Snake & Culture Museum (Musee vivant), Rusizi national park visit of Buyenzi muslim city,Belvedere Climb offering a nice view of Bujumbura city and Lake Tanganyika, Livingstone monument at 12 km from the centre . Lunch and transfer to the airport in the afternoon.